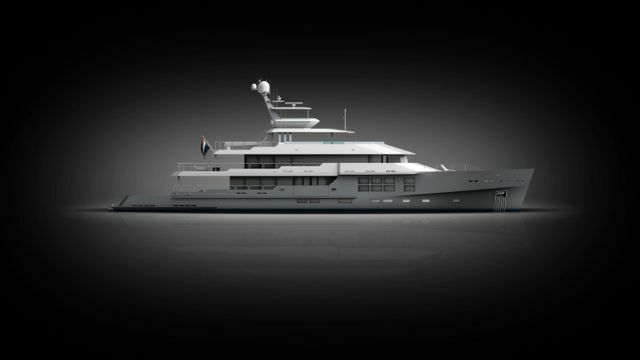 McMullen & Wing has confirmed news it has sold its 50-metre motoryacht project and resumed work on the build in yard. The news has wide-reaching benefits across the New Zealand industry, and follows the success of McMullen & Wing’s much-awarded Big Fish. The yard has begun a concerted recruitment drive which will see them hire at all levels across the organisation, from apprentices, to highly-skilled tradespeople, managers and designers. Working once again with Gregory C Marshall Naval Architects after the successful partnership of yard and designer on Big Fish, McMullen says hull 1016, as it will be known in-build, will see a return of the focus on extended cruising ability as well as enviable outdoor living areas and interior amenities. With the enormously successful cruising and charter record of 45m Big Fish, delivered in 2010, this repeat collaboration between naval architecture and yard, as well as the buyer’s project team, promises to deliver another exceptional yacht. The contemporary interior will also be designed by Gregory C Marshall Naval Architects, sleeping up to 12 guests in five cabins and showcasing natural materials with a relaxed modern ambience. Airy interior spaces flow seamlessly to extensive decks on all levels. Bulwark balconies allow floor-to-ceiling glazed doors from the dining space, providing the ultimate sunbathing location, suspended over the water. The breathtaking owners’ suite, on the bridge deck aft, opens onto its own private aft garden deck, creating a haven of calm. The yacht will be delivered in early 2016 and will feature onboard gardens, hot tubs on both sun and foredecks and a spacious cockpit for waterside lounging. McMullen & Wing is continuing to actively discuss new projects up to 60m and welcomes all inquiries. With substantial waterfront facilities, the yard has the ability to accommodate at least one other new build alongside the 50-meter project 1016.